Do you ever have albums that cause you to reminisce, that take you back to another musical pleasurable place and time? Cartel’s Chroma has done this for me. In honor of the album’s 10th anniversary, I have reviewed this excellent record. Say Anything (Else) is the first track and second single. With its catchy pop punk vocals and instrumentals this song hooked many fans on this album. The theme is being confident in yourself. Honestly is the first single. With its catchy melodies and guitars this song and video have made Chroma iconic amongst Pop Rock fans. This song was and continues to be a breath of fresh air in this scene. Save Us shows this band is more than catchy lyrics and instrumentation. This ballad fit’s perfectly within the record based upon it’s sound and passionate lyrics. In the end “Who will save us?” Luckie Street is an adrenaline rush that provides variety and diversity in the album’s mix of songs. This song makes me want to escape into a different world and is featured on the Ransom EP. The Minstrel’s Prayer is the acoustic song. It is much more than your average “filler” song. It is very intimate and raw. The drums and orchestral instruments stand out because of their complexity. A put a unique finishing touch on this record. You hear other parts of previous songs that are blended well to make a cohesive song. The instrumentation is well done and in sync with a hidden complexity. The vocals stand out because of their range. The lyrics talk about love, confidence in yourself, and failed relationships. I would rate this album a 4.5 out of 5. This high score is based upon originality, instrumentation, and iconic status. My favorite song is Save Us. I fell in love with this song after relistening to Chroma. The lyrics are relative to my life. This song shows how dynamic their sound is. 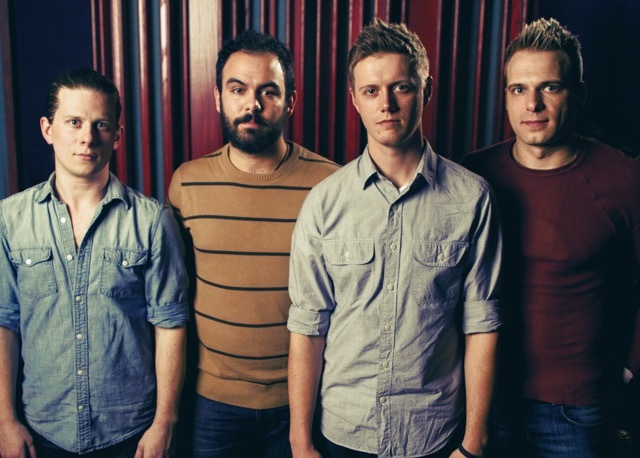 You can see Cartel on their Chroma 10th Anniversary Tour, when it comes to a city near you. You can purchase Chroma on iTunes and Amazon.